One of the best lots in desirable Rock Creek! 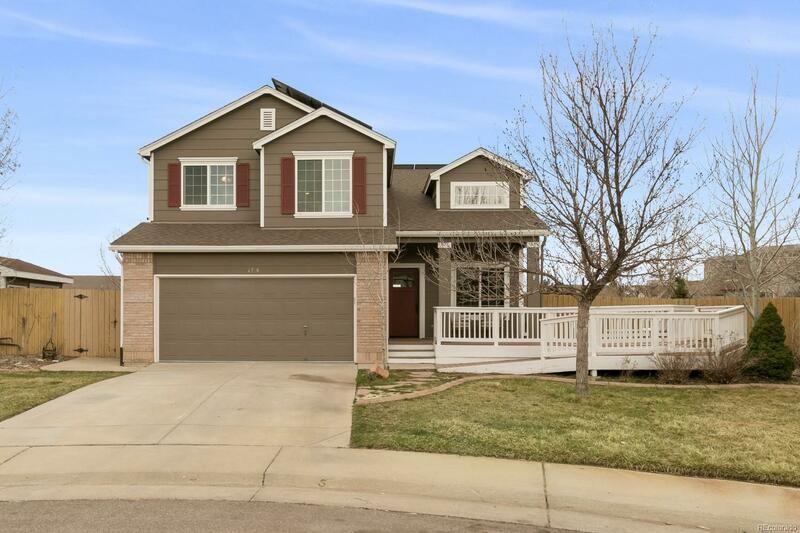 This home sits at the end of a cul-de-sac on almost a 1/4 acre lot! Wonderful front porch. Spacious kitchen with maple cabinets, granite and tile backsplash. Kitchen leads to an amazing custom trek deck that overlooks large yard. Built in cabinets in living room. Solid wood interior doors. Custom 8â pine plank floors on all of main. Upstairs features 3 large bedrooms, a full bath and a master suite with private bath. Finished walkout basement with rec room, study, bedroom and bath. Private patio off of basement with hot tub and gas fireplace. Custom storage shed in backyard. Solar system is owned. Seller offering $6,000 carpet allowance. Fantastic location!